Travelling is always an exciting experience; crossing the border and seas to reach a new destination can ignite a deep curiosity in some, and a need to explore in others. Nowadays, leisurely travel has become fairly common compared to corporate travel, which was popular back when fast telecommunication didn’t reduce the need for long flights across continents for business discussions. Independent travel agents are now tasked with the challenge of planning out individual vacations and relaxing holidays for stressed-out workers who need a break. Moreover, family leisure trips and vacations to resorts and parks are quite common because of how they provide a family with numerous memories that will be remembered for a long time. Lastly, wellness trips and cruises are quite common among the single, middle-class population because group trips are somewhat cheaper compared to traveling individually. However, it isn’t always so easy for travel agents to attain a merchant account and they face a good many risks that they must overcome to do so. For starters, it’s the aspect of future delivery; a person that books a trip beforehand leaves a large time period in-between for something to go wrong. Furthermore, it’s the large price tag on most tickets that makes it highly risky in case a dispute comes up. This would mean that the chargeback would be for a large amount of money. In case the travel agency in question offers large tickets, every dispute for a chargeback would be harmful to the processor. Transaction volume is another dangerous factor that keeps credit card processors from offering merchant accounts to travel agencies. In the case that the merchant is unable to offer the trip promised to a customer, the cardholder will demand a chargeback. This is already risky enough but can be even more so if the trip or vacation was booked in advance. 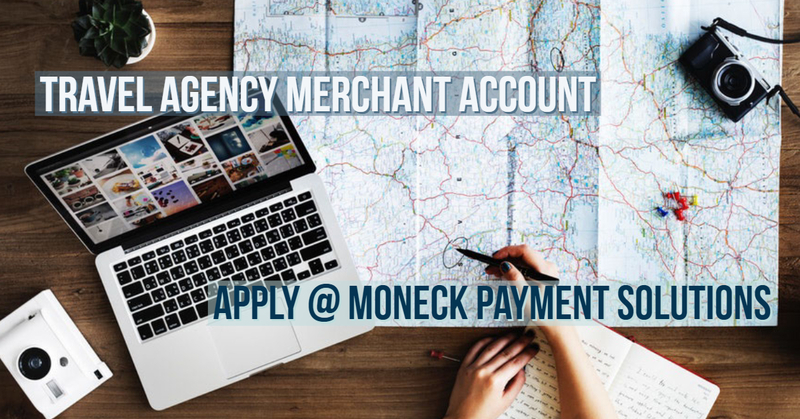 A travel agency merchant account is a one of the most important asset for any business because it allows them to accept payments from customers that are made through cards. Similarly, travel agencies will find that having a merchant account makes it easier to access clients and receive credit card/e-check payments from them. Here’s what a travel agent should look for in a merchant account service. Effortless application and quick approval A committed travel merchant account provider can make matters easier so you can begin accepting credit card payments, as well as ones made by debit card. Better rates and fees. If your travel merchant account provider offers competitive prices, you can keep business expenditure to a low. A smartphone-friendly application and website is a must because it can attract customers from any part of the area. No payment aspect of any business is complete without the right hardware. Even if you’re operating right out of your bedroom, it’s likely that you’ll need a computer and some other equipment that can help process payments. Hence, it’s important to make sure that your travel merchant account gets you the right hardware for your travel agency. Once you’ve attained the necessary hardware to execute transactions, you need to ensure that it gets updated with new features consistently. This will keep your travel agency on the top and ahead of competitors. Just having all the equipment that a travel agency requires is not enough; you also need expert help on how to use it. In this case, 24/7 customer service will be desired because it allows travel agents to have their queries answered anytime. Needless to say, any business, and travel agency, will want to keep their account and customer’s funds secure. Hence, look for a merchant account that offers high-security encryption when processing a payment. Flexibility is a must; look for a travel merchant account that allows your business to accept payments from customers over multiple payment system platforms. When applying for a travel merchant account, there are certain business practices that you should prepare beforehand. New travel agencies that have recent start ups with no processing should provide a cover letter or company letter head detailing a brief summary about the travel services you are providing. You can include this letter simultaneously when sending the rest of the necessary application documents. This provides new travel agencies with an opportunity to tell of their unique strengths and if they have a strategy that can avoid potential pitfalls and risks, such as avoiding chargebacks, giving you the upper hand at getting approved for a travel service or travel agency merchant account. On the other hand, if you’re a supposedly established travel agency, you’ll have an excellent opportunity to be approved for a travel merchant account based on your established business history. Remember to send bank statements and processing statements for the last three months to show that your business is particularly low-risk. If nothing else, it’s helpful when any travel business can show its financials, such as a year to date profit and loss or balance sheet to a processor, proving that it has some cash flow and working capital. A company that is in a better financial condition is preferred. In case your business is new and a mere startup, you can get approved, but it is wise to request a starting monthly processing amount of no higher than $40,000 a month unless you can provide strong financials that support a starting higher monthly processing amount. Processing monthly volume limits can quickly increase if you can demonstrate after four to six months that your chargebacks are under 1%.